In this series of articles, we have covered all the different stages building up to actually receiving care, from the first realisation that care might be required, where to go for support, identifying the type of care needed, how to establish whether financial support may be available and the questions to ask of care providers when you are making that so important choice. The final part of the jigsaw is the search and selection process, which is broadly the same whether you are looking for home care, residential/nursing care, dementia care, independent living, or care in the community. It is vital that the information you base your decision making on is the very latest available and the only way to achieve this is to start your search with a clean sheet of paper. The simplest way of illustrating what is involved is to use a sample care home search, based on the processes that we have developed. First, draw up a list of all the homes within an appropriate radius. The size of the radius will be determined by the location, i.e. a rural area will potentially require a much larger radius, as there will be fewer homes than in a densely populated town, or city. Once you have drawn up the initial list, the next step is to qualify the homes on the list. The main points you need to check are: is the home registered to provide the right type of care, how is the home rated by the authorities, does it have a website so that you can get a good understanding of the layout and style of the home? Taking these initial observations into account, you can whittle the list down to a more manageable number of possibly suitable homes. Many of the lists which are available on-line, list all homes which cater for adult care, including special needs and mental health, not just care of older people. Unless you are looking for a specialist type of care, many of these homes will not be suitable, so this will need establishing at the outset. Once your list is fully qualified, the next step is to speak with each of the homes on the short-list. The first thing to establish is whether the home can provide the appropriate care, which will mean sharing the care needs with them. This is very important, because the home is required to carry out its own assessment, usually before admission, because they need to demonstrate that they have acted with due diligence. This assessment, along with social care and hospital discharge assessments will form the basis of the initial care plan. The questions you may want to ask will be different in most cases, but some of the key ones will be, what are the fee rates, what is included in the fee rates, what activities do you provide, what are your visiting policies and, do you have any vacancies? The right questions will help you to make an informed decision on the right choice of care provider for you, or your loved one. Once all the research is complete, you should be able to reduce the list of homes to a handful that meet with your criteria and then set up a schedule to visit them. We always recommend that visits are unannounced, although it is usually a good idea to avoid meal times. Have a look again at our blog on QUESTIONS TO ASK WHEN VISITING A CARE HOME and draw up your own list of specific questions. Remember to ask them at each of the homes you visit. Once you have visited these homes, you should have all the information you need to make an informed decision. Care Home Finder has created a purpose designed process and, based on a specific brief (e.g. location, type of care plus specific care needs, together with any individual requirements), we provide clients with a comprehensive report based on the very latest up-to-date information. The reports include links to the CQC report, a home’s website, where it has one, an interactive map which shows you where the shortlisted homes are located, the current fee rates and whether the home has any vacancies. All the information that should be needed to make an informed and speedy choice, once you have carried out the viewing inspection. 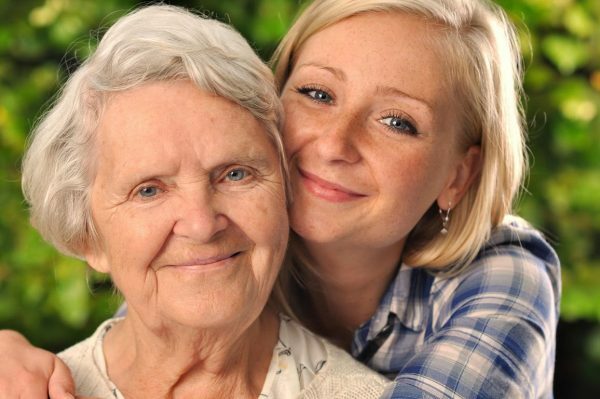 At Care Home Finder, we are dedicated to helping people through the stressful and traumatic situation that seeking care can be. We hope that these posts have made the process a much less daunting prospect for you and your loved ones and, if you would like an informal chat about your, or a loved one’s care needs and how we can help you, please either contact us here, or telephone on 0345 853 0300. WHEN IS THE RIGHT TIME TO MOVE INTO A CARE HOME? NEEDING CARE? WHAT ARE THE KEY STEPS YOU SHOULD TAKE?